Stoke Lyne Women’s Instistute will be serving teas and coffees in the Village Hall. Savoury pastries, quiches, filled rolls and lots of delicious cakes. Stoke Lyne WI was started in October 1959 by Mrs Delia Barnet, with 24 members attending the first meeting. It is still going strong, and meets on the second Wednesday of the month in Stoke Lyne Parish room. 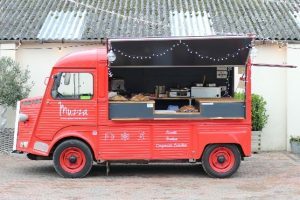 Enjoy some really delicious Indian food from Muzza’s beautifully restored vintage food truck! Chicken tikka toasted wraps (with a veggie option available), plus chicken tikka, lamb and vegetable samosa. Our Licensee for this event is Tim Ayling from the Red Lion in Finmere (well, strictly, Little Tingewick). Tim took over the Red Lion at the beginning of September 2018 and has become an important part of the local community. Always a friendly welcome, excellent food, and great events! 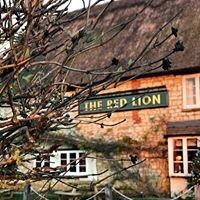 For further information, check out The Red Lion Little Tingewick. 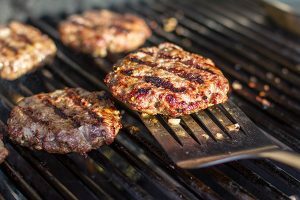 Our volunteers will be cooking some tasty burgers and sausages throughout the day – get down there and try them out! Vegetarian Options available.